The quality of representation of data obtained by an atomic-force and similar scanning probe microscopes, in many respects is determined by an opportunities of the used software. "Callisto" is a freely distributed program based on effective algorithms of correction of specific image distortions. The ideas and wishes of many researchers, and ours, more than ten years' experience of AFM design were used in development of this software. Free-of-charge because "Callisto" is a private noncommercial project, which aim is cooperation of the researchers working in AFM field. Support. 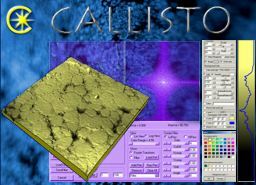 Now "Callisto" allows to work with data obtained by a series of "Nanotop" AFM's; microscopes of "MicroTestMachines" company (recorded in .spm format );US "Veeco" (Nanoscope type) and Russian "NT-MDT". 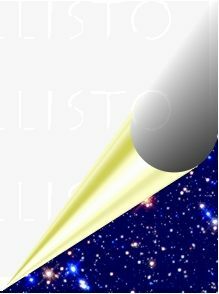 If you use scanning probe microscope of an original design, send us the description of your file format, and we shall make it accessible to process in "Callisto". You can transform your files to the format of "Nanotop" as well. All necessary information is contained in a section "Support" . The opportunities of the program are constantly increased. The information about current uploading is contained in section "News". The project is in progress. For preliminary viewing of the AFM images sketches directly in Windows Explorer we recommend to download and set up the N-Surf program, distributed free-of-charge and compatible with "Callisto". Send your offers on expansion of opportunities of the program, and you receive even more convenient and powerful tool of AFM images processing .